The human sciences in the English-speaking world have been in a state of crisis since the Second World War. The battle between champions of hard-core scientific standards and supporters of a more humanistic, interpretive approach has been fought to a stalemate. Joel Isaac seeks to throw these contemporary disputes into much-needed historical relief. In Working Knowledge he explores how influential thinkers in the twentieth century’s middle decades understood the relations among science, knowledge, and the empirical study of human affairs. For a number of these thinkers, questions about what kinds of knowledge the human sciences could produce did not rest on grand ideological gestures toward “science” and “objectivity” but were linked to the ways in which knowledge was created and taught in laboratories and seminar rooms. Isaac places special emphasis on the practical, local manifestations of their complex theoretical ideas. In the case of Percy Williams Bridgman, Talcott Parsons, B.F. Skinner, W.V.O. Quine, and Thomas Kuhn, the institutional milieu in which they constructed their models of scientific practice was Harvard University. 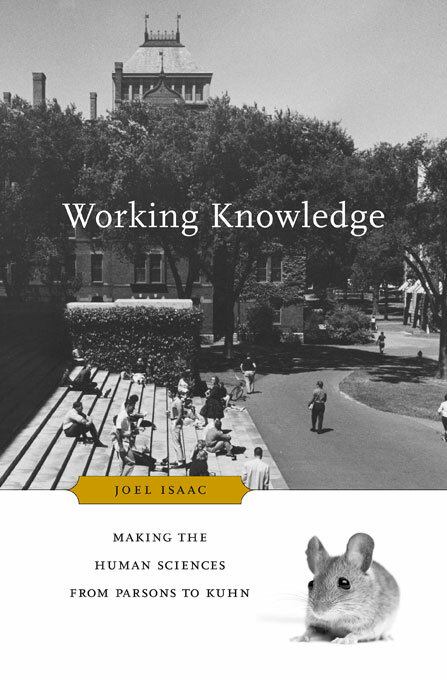 Isaac delineates the role the “Harvard complex” played in fostering connections between epistemological discourse and the practice of science. Operating alongside but apart from traditional departments were special seminars, interfaculty discussion groups, and non-professionalized societies and teaching programs that shaped thinking in sociology, psychology, anthropology, philosophy, science studies, and management science. 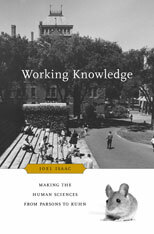 In tracing this culture of inquiry in the human sciences, Isaac offers intellectual history at its most expansive.